Managed print services have been intended as a method of helping you to meet your overall business goals, and in the meantime, they can also help with streamlining the business efficiency. What are some of the other key benefits? 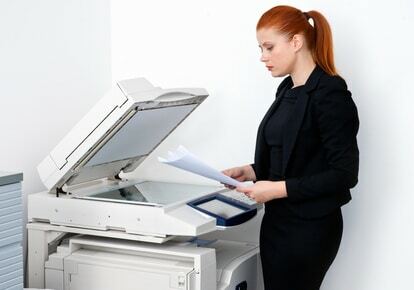 First, you can lower the printer fleet, which means that you can watch the devices more closely. You will have fewer in use, which can lower the number of service calls to your corporation. These services will also create a more positive environmental impact. Because you are lowering the paper usage, you will have a lower electricity bill, and you can recycle your toner cartridges for an added benefit to the environment. Eliminating the IT workload could be said to be another benefit of an MPS program. When you can reduce the amount of IT resources that are being spent resolving the problems related to printing, your IT employees can focus on the more critical areas of keeping your business running. Using a powerful software can be done, and our MPS experts will help you to increase the efficiency at your business. What makes this a greener choice is that you can reduce some of the waste. When you spot where you are wasting pages, you can print fewer, and this will also lower the cost of your overall business processes. What if winning over customers was as simple as having a more efficient printing process? With our company, that is completely possible.